Case IH Heavy-Offset 790 disk harrows feature state-of-the-art engineering and construction. The machines offer unmatched ruggedness, dependability and consistent performance over years of use. Deep till stalks and stubble, bury brush and level irrigated fields. 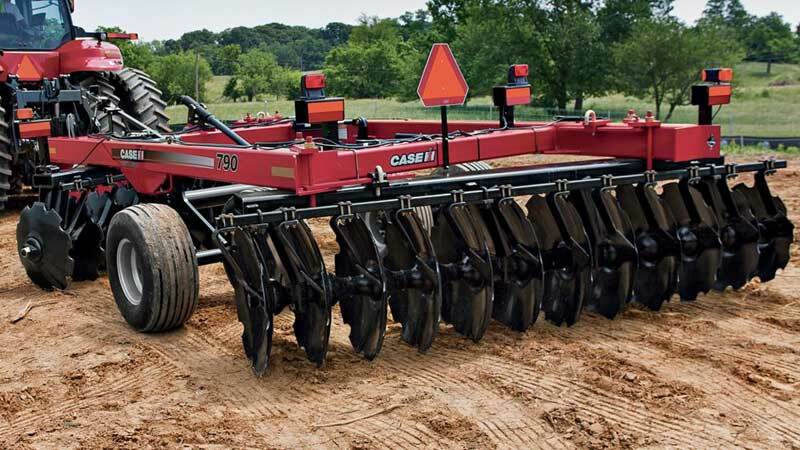 Case IH Heavy-Offset 790 offset disk harrows perform a wide array of soil-conditioning tasks with tough, long-lasting components. All Case IH Heavy-Offset 790 disk harrows are equipped with Earth Metal blades. Uniquely formed and heat treated, Earth Metal blades offer exceptional endurance and break resistance for longer equipment life. The notched blades aggressively cut residue and vegetation with excellent cut uniformity.